Christian Iaione and sheila foster have published widely on the city as commons they are currently engaged in the co-cities project in over 100 cities internationally. in 2014 the city of bologna formally adopted legislation drafted by LAbGov interns. 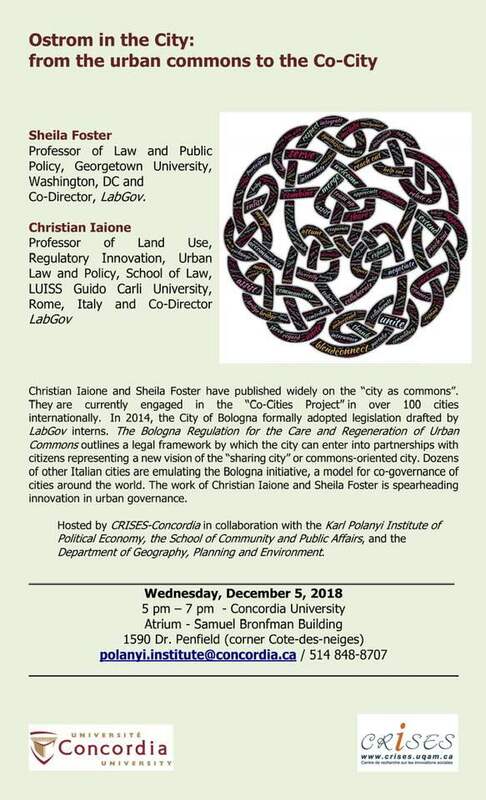 The Bologna Regulation for the Care and Regeneration of Urban Commons outlines a legal framework by which the city can enter into partnerships with citizens representing a new vision of the ''sharing city'' or commons-oriented city. Dozens of other Italian cities are emulating the Bologna initiative, a model for co-governance of cities around the world. The work of Christian Iaione and Sheila Foster is spearheading innovation in urban governance.